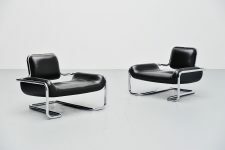 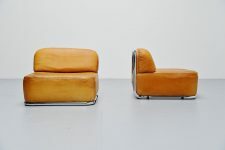 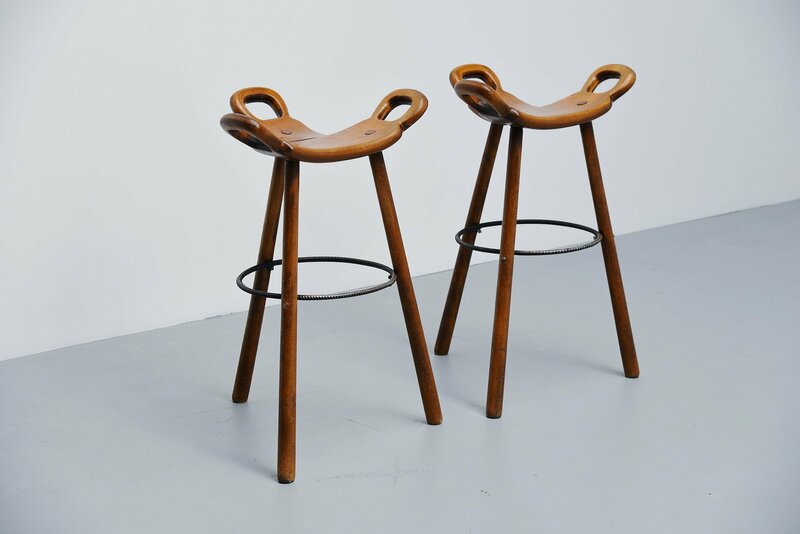 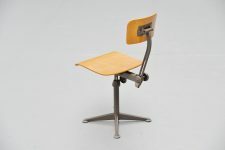 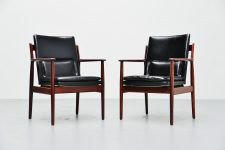 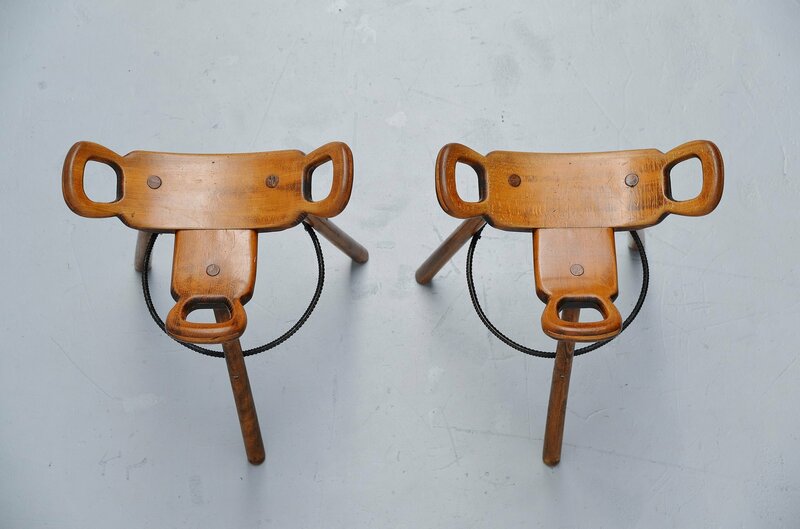 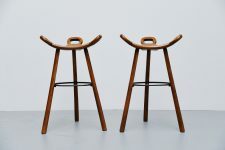 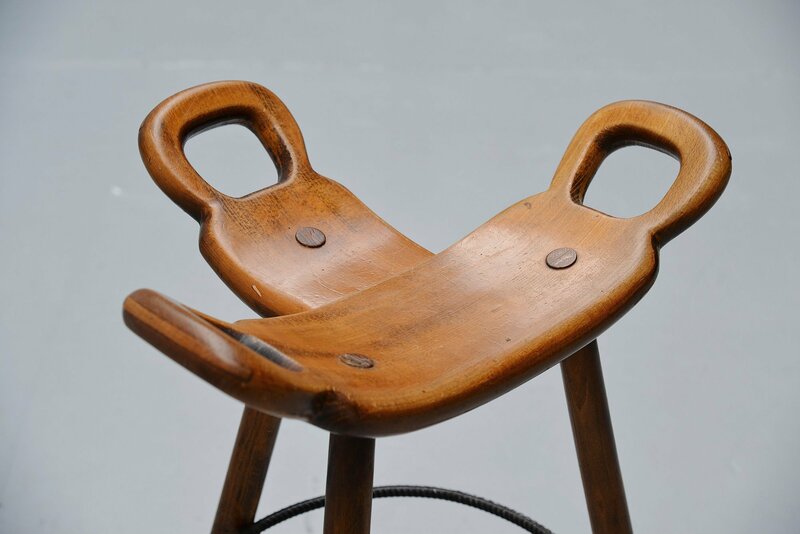 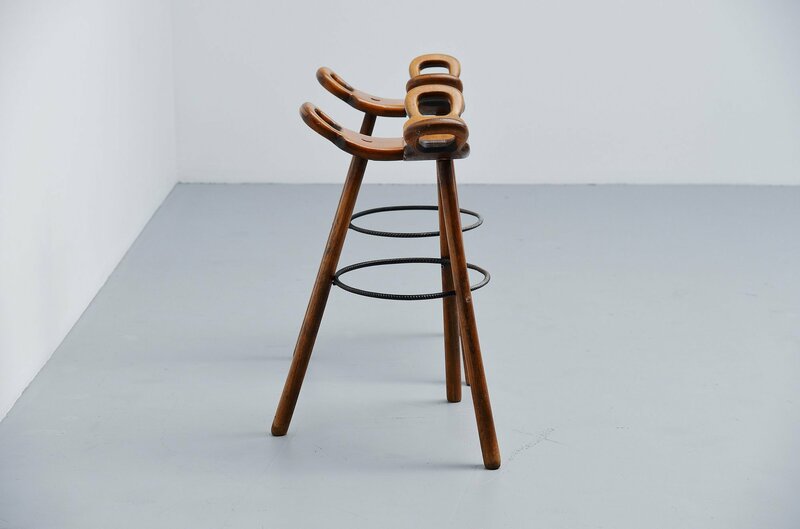 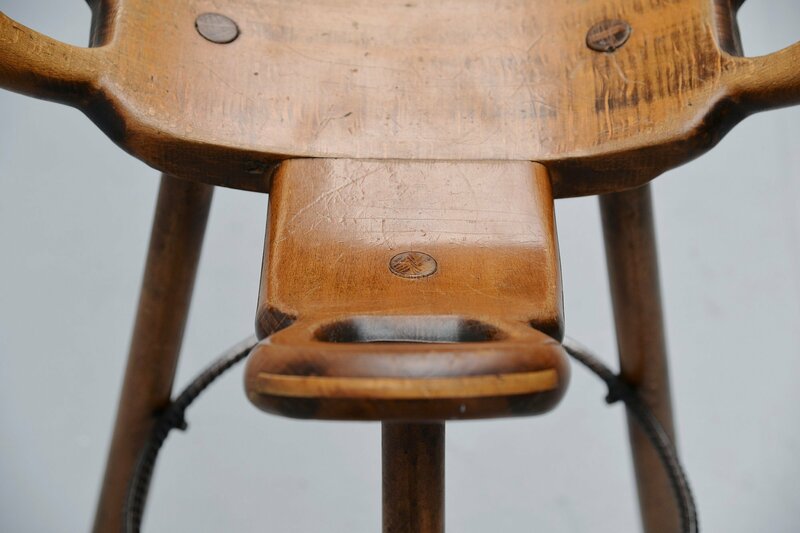 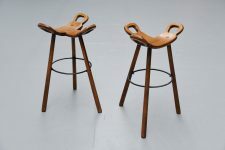 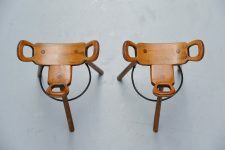 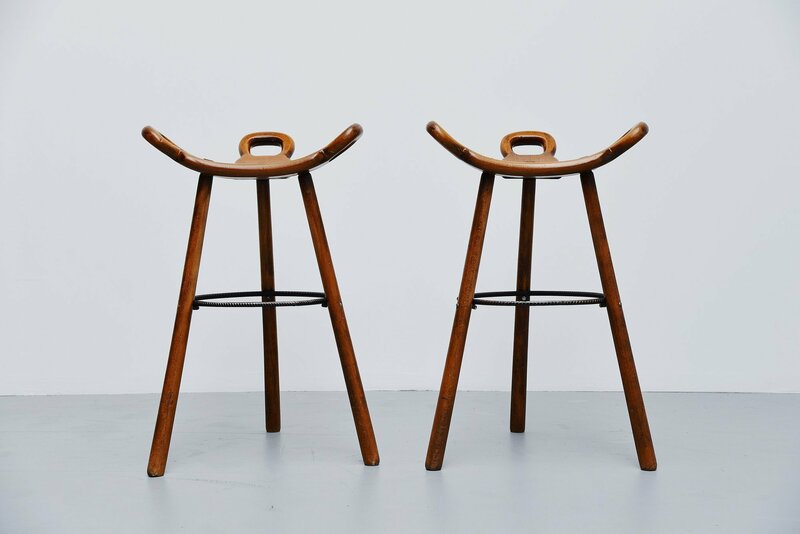 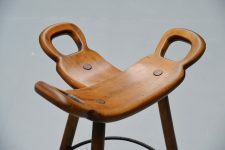 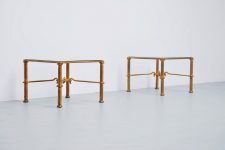 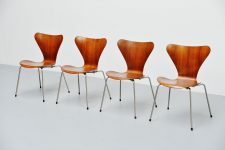 Pair of bar stools attributed to Carl Malmsten, Sweden 1950. 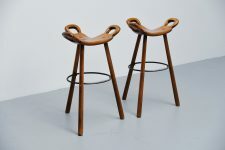 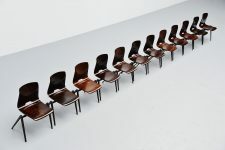 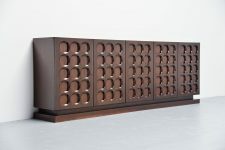 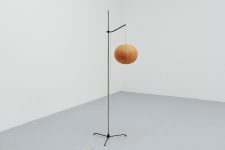 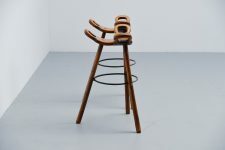 These stools are made of solid beech wood, dark stained. 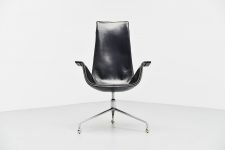 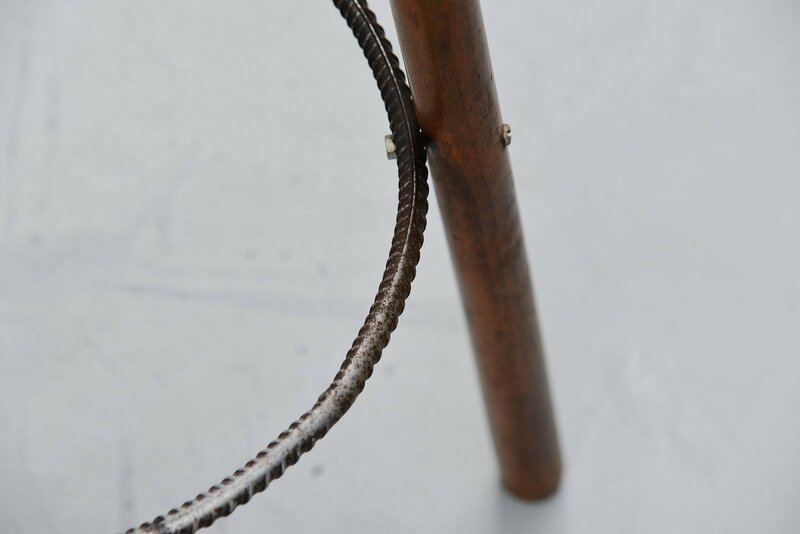 And have beautiful connections to fix the seat. 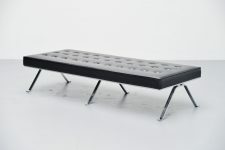 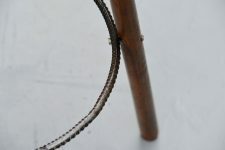 They have a solid metal foot rest ring. 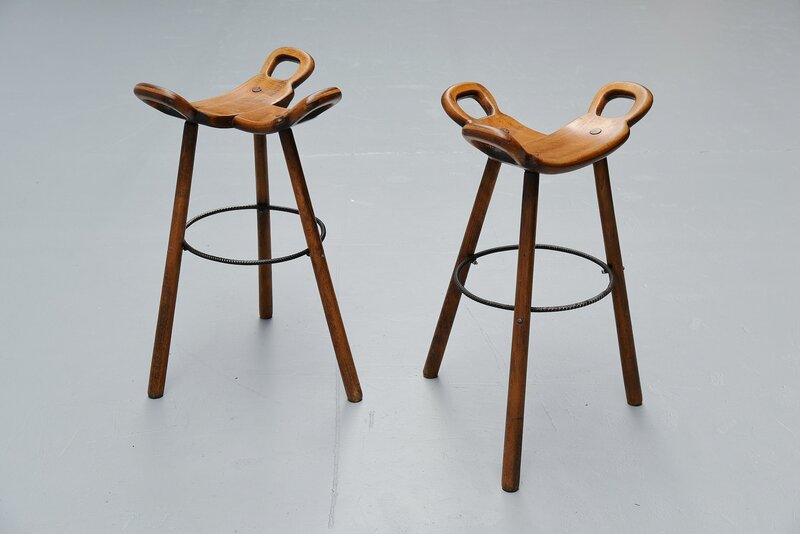 The stools are in original condition with nice patina from age and usage.